Whatever your next is, it takes leadership to navigate toward it! Google has all the content you need. We have the conversation. 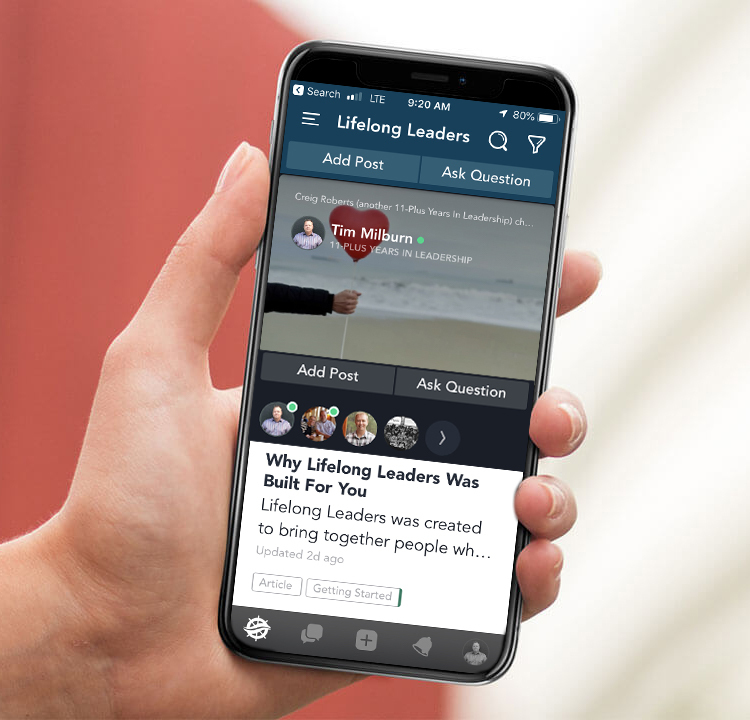 Lifelong Leaders was created to bring together people who want to invest more intentionally in learning to lead themselves and others better. • Meet people who share the same desire – to be a better leader of themselves and others. Click the button below to join Lifelong Leaders. Lead yourself first so you'll lead others better. Want to earn that leadership position? It starts by leading yourself well. Want to lose that leadership position? It'll happen by leading yourself poorly. This workshop inspires everyone to be a leader...of themselves. Your team will learn how to take responsibility for their own choices, grow their self-awareness and develop the habits we all need to lead ourselves well. Interested in something else? Click here to view other training. Click the button below to schedule a workshop for your team or group. We'll get on a call to discuss your unique context, walk through the details and make sure we're crystal clear on your expectations. You'll receive a contract containing all that we agreed upon. Once signed and returned your date is secured. you have grown as a manager/person from being a part of it. I would like to see more presentations like Tim's in the future." “Tim taught a session to all my general managers. just to see the presentation. He had everyone laughing and learning." "Tim is such an enthusiastic speaker! He does a great job keeping the session engaging. in developing my management style/skills." "This Tim guy gives some of the best seminars I’ve ever seen. If you’re looking for a little self help, check him out." No yelling. No judgment. No running laps. Unless your #1 goal is running laps. As a coach, I'll help you chart the course toward your future. I'll help you work past your limiting beliefs, overcome your excuses and bring clarity to achieving the life you want. One step at a time, I will partner with you, motivate you and encourage you as you take responsibility to navigate toward what's next. Download this one page guide for free. Use it for every meeting. Print it off and fill it in! So far, so good! Now check your email to confirm your subscription. No spam. Your information is safe. Unsubscribe anytime.